Announcing a New Matrimonial Affiliate System That Can Help You Generate Revenue Within Days! Get Started In No Time With Our Ready-made Affiliate Tools & Resources! This Could Well Be The Most Rewarding Indian Matrimonial Affiliate System You'll Ever See! Matrigo offers high converting premium products including Premium Memberships (On-Demand, Silver, Gold, Platinum) and Credit Purchase. More targetted matrimonial high premium products are planned in version 2 release of Matrigo. With Matrigo affiliate program you can gain upto 70% on our premium products, by becoming a Level-A affiliate. You'll earn commission on every purchase made by your referred member. Lock-in the high commission rates by registering as an early affiliate. 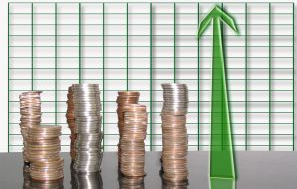 See real-time statistics of the number of sales made by your referring members. Get notified by emails when a sale is made and keep track of your commissions and sales/month using our real-time affiliate tracking system. As a Matrigo affiliates you get paid commissions (upto 70%) for every premium membership that the referred member buys using Credit Card or Paypal payment. When a sale is reported you'll be notified by email of the sale. We are constantly working on adding more and more value to our Premium Subscriptions to increase conversions thereby increasing affiliate revenue. Matrigo affiliates get commissions (upto 70%) for credits that referred member buys using Credit Card or Paypal payment. Credits on Matrigo can be utilized for getting Profile Highlighting and get featured on matrigo.com home page. Every time a referred member purchases credits, you get commission for the sale. 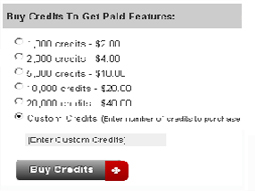 Credits can be purchased from as low as 1,000 to maximum of 1,000,000. Pricing is $1 for 1000 credits. Matrigo affiliate payout commission (of upto 70%) is amongst the highest commission rate within all the leading matrimonial affiliate programs in market today. Even our minimum commission of 50% is more than what other affiliate programs pay to high performing affiliates. Our high commission rates are yours for the entire term that you are our affiliate. Once you've locked-in your commission rates, we'll never reduce the commission rates unlike other website who reduce the commission rates as the number of affiliates increase. Our commission rates are next to unbelieveable and are exclusively for our early affiliates. You really can’t afford to miss out on this offer! You really owe it to yourself to move on with this incredible opportunity. And it’s really easy to get started as well. Just click on the 'Sign Up' button and get started right away. If you’re interested in creating a huge (and immediate) cash flow for yourself and keep track of all the sales made by your referrals, you'll be excited to hear that with your Matrigo program you get a complete affiliate tracking system. 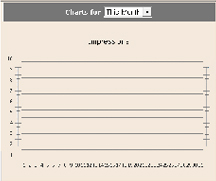 Simply login to your affiliate account and see graphical report of the conversions you have gotten. Track your sales from month-to-month. See how many users have converted as leads (registered members) and how many sales you've made from month-to-month. Unique tracking system combining cookies and referral code to ensure maximum reliability. Complete history of earnings by day, month and year. 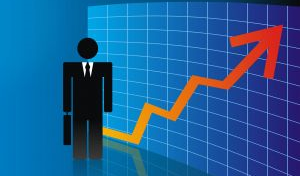 Sales summary & sales performance report. Banner effectiveness & impressions/click report. When you sign-up to Matrigo affiliate program you'll be assigned a dedicated affiliate manager, who'll work with you to ensure you get the most out of our affiliate program. Strategies to squeeze more performance out of your affiliate marketing plan. Creating plan and promotions for your campaigns to improve customer acquisition. Settings goals and measuring success with your marketing. Assistance on tracking links, banners, advertisements, etc. Any questions you have related to your affiliate account.